Will Clark, managing editor of The ReMarker student newspaper, has been named the 2016 Texas High School Journalist of the Year by the Texas Association of Journalism Educators. 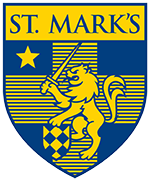 He is the fourth consecutive St. Mark’s journalist to win the state title. The ReMarker's editor, Philip Smart ’16, was also named the runner-up for this year's state title. 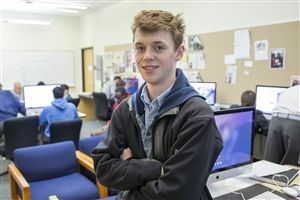 Will went on to represent Texas at the National Scholastic Press Association’s (NSPA) annual convention in Los Angeles, where he placed second in the nation. The High School Journalist of the Year program and competition is sponsored by the Journalism Education Association and the NSPA. Entries are judged on leadership, writing, story development and coverage offerings, and visual communications. A panel of four scholastic journalism specialists served on the state judging panel. In the past three years, three other Marksmen have won the state title including Matthew Conley ’15, now a student at Duke University; Ryan O’Meara ’14, now a student at Harvard University; and Daniel Hersh ’13, who also placed third in the national competition, now a student at the Medill School of Journalism at Northwestern University.